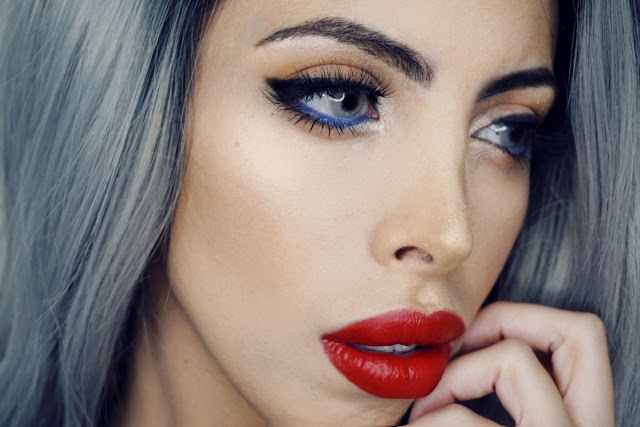 Let's face it eyebrows are incredibly important especially nowadays, we all strive for beautifully shaped and full eyebrows to the point that most get microblanding done. 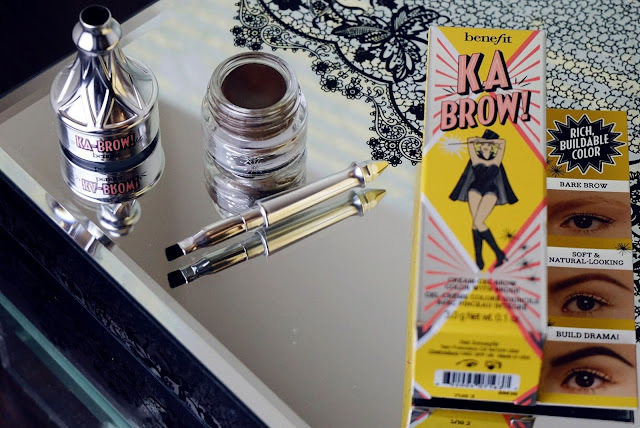 I am not one to be adventurous enough to get my eyebrows tattooed so I have been on the look out to find a great product I could use to bring back the fleek in my brows. Years of over-plucking have left them feeling sparse and damaged and some hairs have unfortunately not grown back in my middle sections. I know this is a horror story for some. If you truly think about it, when your eyebrows are done and looking perfect you may well go inconspicuously without makeup. I saw a lot of Youtubers like Jefree Stars rave about this product, how it was one of those products you could not live without. The real question of the matter is did it live up to it's high expectation. 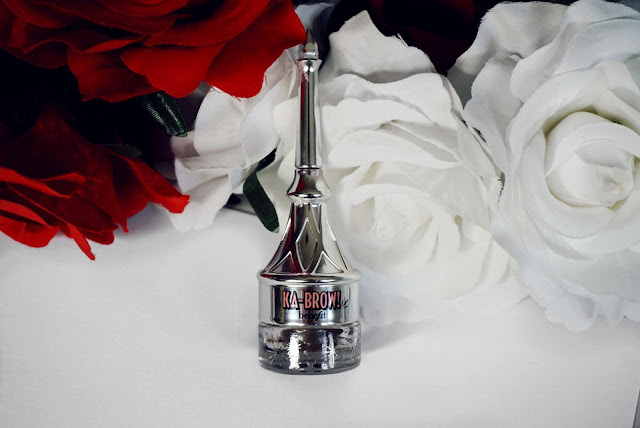 I am in love with the name of the product it is so catchy, like KaBrow! your eyebrows are done. It retails for £20 and comes in 6 different shades, I purchased mine at BENEFIT. I was hesitant in my purchase as I thought omg 20 pounds for so little product. 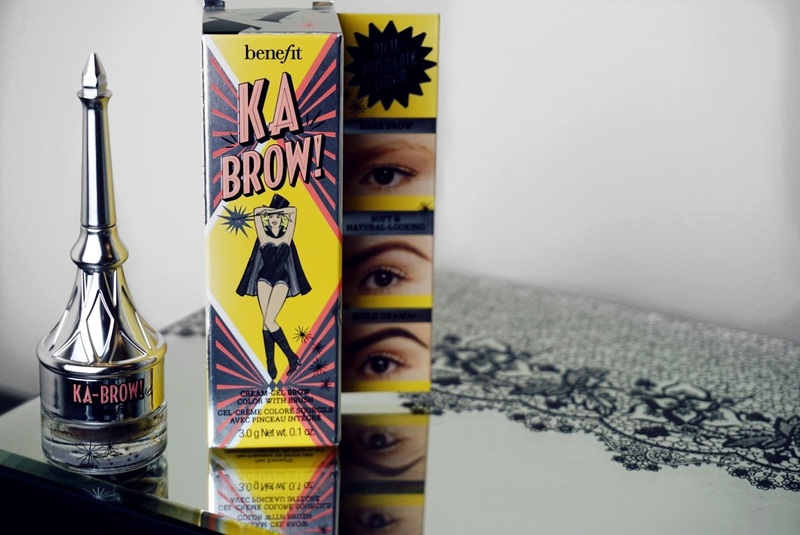 Benefit cosmetics as per all their extensive line kept their trademark packaging design you may all distinctly recognise. It portrays bold and distinct colours. This product exhibits a magic theme to it as a magian assistant animation is exhibited on the packaging. I like how intelligently designed this product is as it has built-in hard-angled brush and the cream-gel pot at the base. This makes it great to carry around and also travel with. Maybe because of the cold weather the consistency of the product was like that of a compact cream. I found it to be highly pigmented which is fantastic as you need only a little of the product to get your eyebrows in shape. This makes it worth the investment at least as it will definitely be long-lasting. It was very easy to work with and buildable. So you can easily even draw hair flicks due to it's precision angle-brush. The cream gel did last 24 hours and was actually waterproof, which is extremely useful as if you are in a situation of water exposure you will definitely not be left without eyebrows. 1. Start of with no product at all on your brows and brush them through with an eyebrow brush. Most people prime and set the brows with gel but in my case I will keep it simple in order to concentrate best only on the efficiency of this product. 2. Remove the cap and pull out the built-in brush. You may turn the brush and attach it to the cap to have a more efficient grip in order to best apply the product. 3. Then draw a line below and above your eyebrow. 4. Dip back into the cream-gel and go into the higher portion of your eyebrow and from there blend it out. 5. In the areas if or where you have hair missing feather in strokes to get a look of hairs being present. 6. 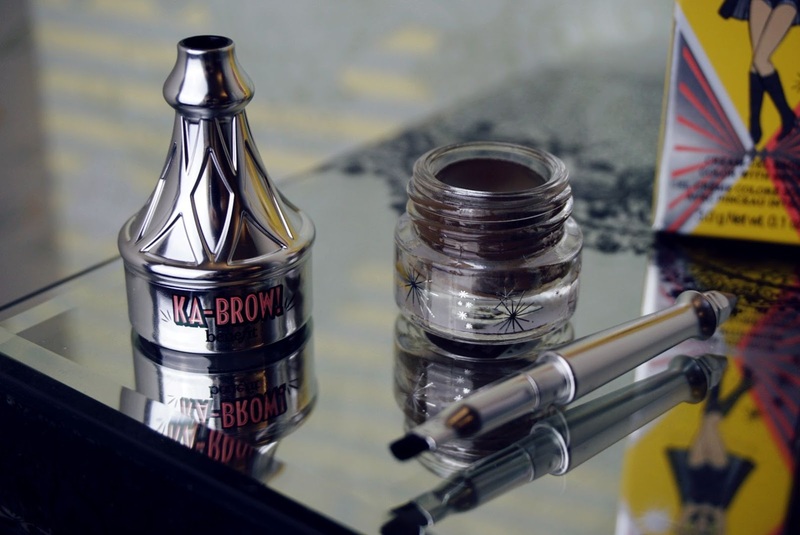 Voila' or Ka-Brow! your brows are done. 7. I go in and define my brows with concealer and another angled brush to get the perfectly defined eyebrows I so much strive for. I can't believe how impressed I was with the results. Even those around me noticed a drastic improvement in my eyebrows. This product really set the bar high for other brands given the results. I am completely in love with the packaging because it contains the brush so on the go I don't need to pack a different brush for it. It does not take up the space in my purse if I have to go somewhere and most importantly the formula of the product is on point because my eyebrows have never looked so beautiful. I know for most people it might look pricey but lets see how long with time this product will last me considering that I will use it daily. I am glad I purchased the right product for my brows and look forward to letting you all know in due course how long the product will last and if the cream-gel will change consistency or has any draw backs to it. There's nothing more that I love other than having silky smooth hair on a day to day basis. My hair is thick and wavy so I do need to resort to using a straightener to get it straight. 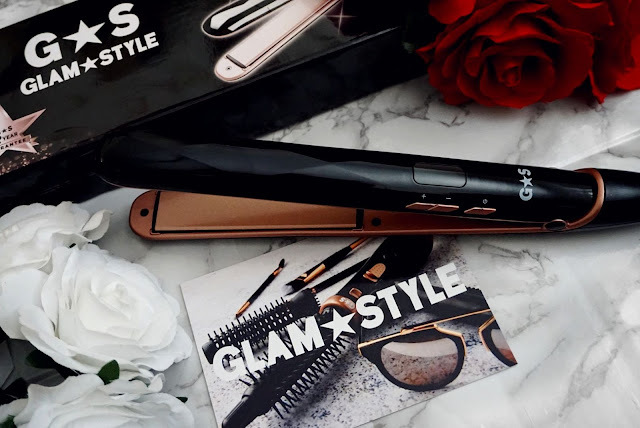 The Diamond Irons Hair Straightner by Glam & Style. It retails only at £17.99 instead of £29.99. So get yours quick while stocks last. 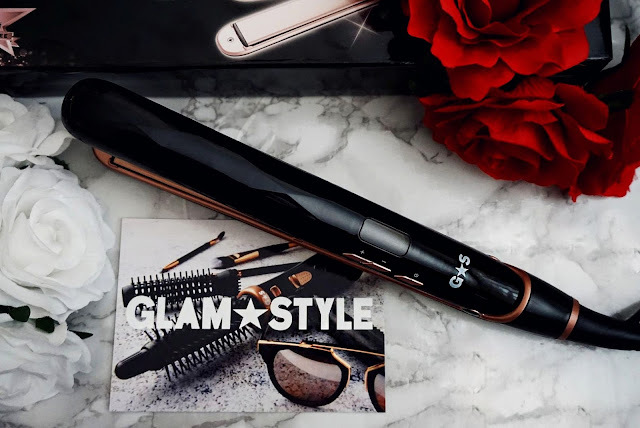 Like all the Glam & Style range their product lines come in a beautiful black and rose gold. It exhibits a temperature control and LED display. You can get to chose the temperature with which you can style your hair which varies between 150-230°C. This is great for people who use wigs who need low temperatures for styling and also people who try to keep heat hair damage to a minimum when using straighteners. I love that unlike most straighteners on the market you can chose the temperature with which you chose to straighten your hair. 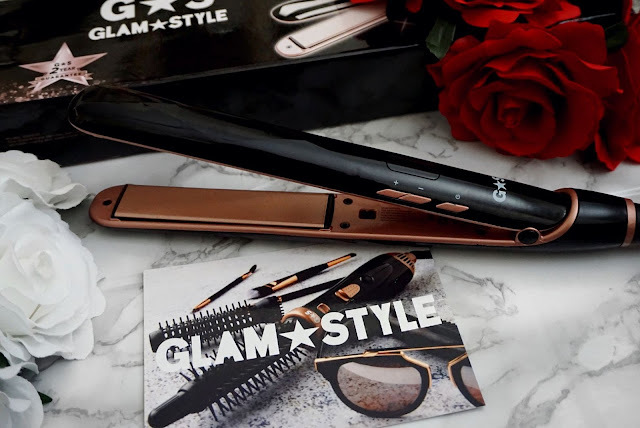 The straightener contains intelligent ceramic coated plates. This makes sure hair damage is minimised and hair will look silky smooth rather than hay dry. The plates have been engineered so they have a floating feature whereby hair doesn't get pulled nor ripped out. The LED allows you to keep an eye on the temperature. However, this particular styler has an AUTO SHUT OFF feature where It automatically switches off after 60 mins! This is a quality that is new to me! Everybody gets that daunting doubt when they leave the house in a hurry whether or not they have switched off their styler! This is incredible! Don't get me wrong I don't advise anyone to leave their straightener ON knowing it will automatically shut off after 60 mins! However the fact that it exhibits this trait is quite simply remarkable and for only £17.99. The styler has a 360° swivel cord with a 2 metre power cord which allows you to work easily without getting stuck. Another great characteristic is that the diamond iron has a locking handle control so that you can carry it with you safely without the possibility of damaging the high-end ceramic coated plates. 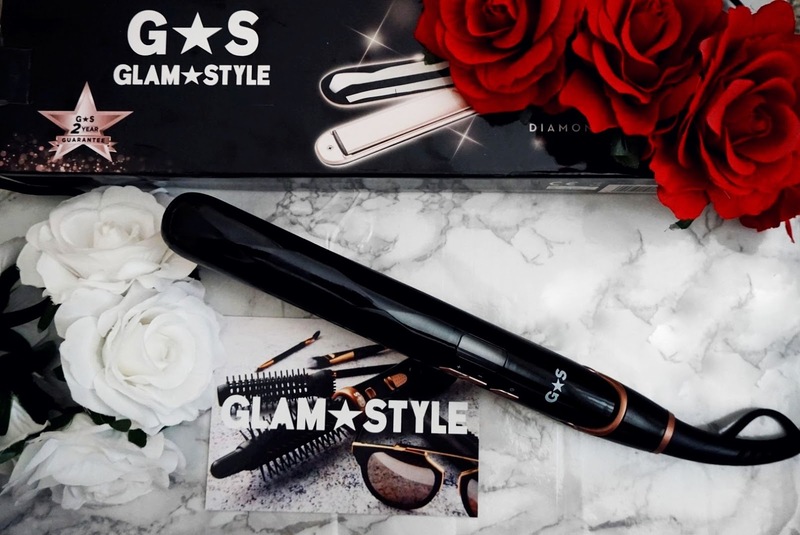 The product has been designed without a flaw and fulfils a silky smooth finish, keeping hair damage to a minimum, making it easy and comfortable to use with a great safety feature. It was so easy for me to get my hair straight , I simply spray a hair protecting mist, sectioned my hair and straightened all the layers. I am highly impressed with the product quality and design. I can't recommend it enough. The price versus quality is worth the purchase. 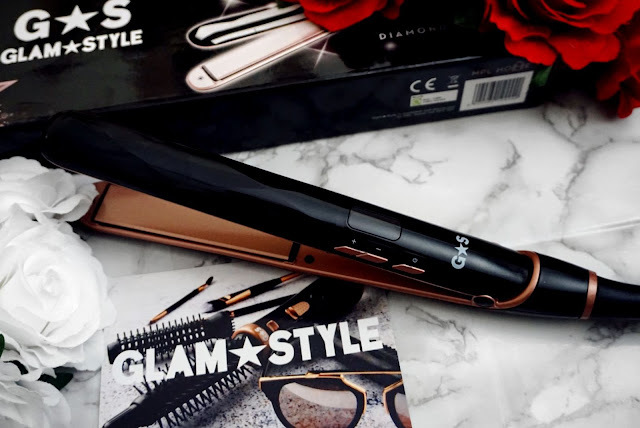 I know that I straighten my hair on a weekly basis and due to dying my hair I tend to be on the lookout for straighteners who exhibit features which help minimise hair damage. If like me you are on the lookout for this particular characteristic, this is definitely the straightener for you. My hair was left silky smooth and looked beautiful. What did you think of this hair straightener? Let me know below in the comments section. This Item was provided complimentary by Glam & Style for review purposes, however all the opinions are mine and truthful. We live in a day and age where social media drives our websites, blogs or businesses. As it’s become increasingly easier for people to establish themselves as influencers, there is so much competition out there. The web has allowed us all to achieve this by ourselves without the need of booking photographers, photo or video editors. The competition on the net is fierce, and on top of that companies offer promotional and management services. It has become a lucrative business. Not only for companies providing management for your social media accounts but also for companies who sell goods. As a blogger, initially you may have to purchase all the items you are reviewing before you establish yourself in the world of blogging, unless you have already developed a large following on social media platforms such as Facebook, Twitter, Instagram, Google+, Pinterest, or Linkedln. 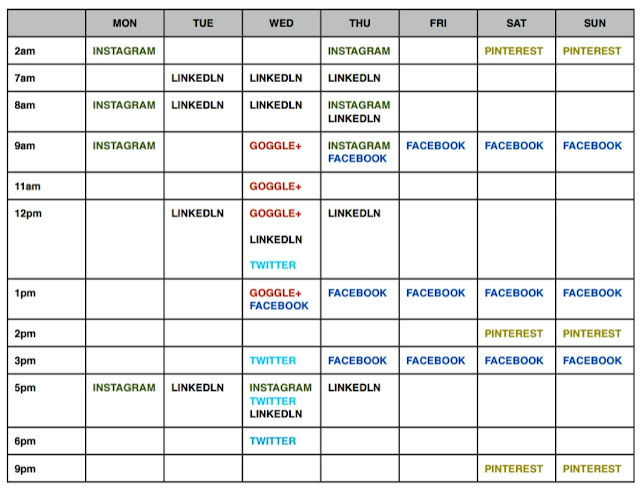 The social platforms are endless and the amount of work you have to put in if you are on a budget is very demanding. I noticed from my website statistics, that the best platform traffic drive is delivered by Facebook which I found very surprising as I have a 1/3 of the followers I have on Instagram. There are times where you will feel like giving up, well don’t, just take a step back and come back to it all because with the new Instagram logarithm you may want to call it quits with Instagram for sure. I have tested this methodology and can vouch for it however dependent on your target audience and being attentive you may want to tweak this schedule. Best days to post- THU, FRI, SAT and SUN. Best times- 9am, 1pm and 3pm. Best Days- WED MAIN DAY. However other than WED follow the timings below during the week or weekend. Best times- 12pm, 3pm, 5pm and 6pm. There are apps like www.followermonk.com that help you focus on social growth with their analytics. Best Days- SAT and SUN. Best times- 2am, 2pm and 9pm. Best times- 7-8am, 12pm and 5-6pm. Best times- 9am, 11am, 12pm and 1pm. Best times- 2am, 8-9am and 5pm. WEDNESDAY dedicated to Instagram, Twitter, Facebook, Google+ and Linkedln. THURSDAY dedicated to Instagram, Facebook and Linkedln. SATURDAY AND SUNDAY dedicated to Facebook and Pinterest. If you are on a budget I suggest you set up some sort of alarm system on your phone so that you can follow these timelines. I would use these times to post and interact with people and different accounts. Don’t forget that being on numerous platforms will assist you in your quest of growth.